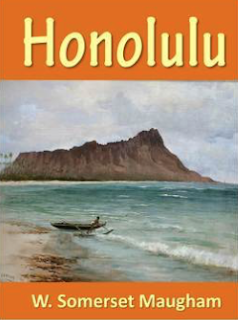 In the first part of the short story, "Honolulu" by William Somerset Maugham described the strength of imagination. The author mentioned the title of the book which he hadn't read, but the title stimulates his fancy. In such a journey he could imagine himself being in Russia among its great forests of birch and it's white, domed churches where the wide Volga flows and bearded men in rough sheepskin coats sit drinking. When his eyes fall on a piece of porcelain and he felt smell the acrid odors of China. Honolulu is the capital city of Hawaii; this island has a reputation for an enigmatic place. So, readers can expect to find something mysterious in the story seeing only the title. Maugham justified these expectations. The narrator retold the story which the old captain told him. The story is about love, sorcery, and where good defeats evil. The story doesn't belong to the genre of fantasy; it is a narration about visiting the island. Thanks to the wonderful skill of the author, the story keeps intrigue up to the end of the narration. Together with the writer, we can have an imaginary tour to the mysterious place - Honolulu.